I love taking a flat piece of fabric and giving it form. 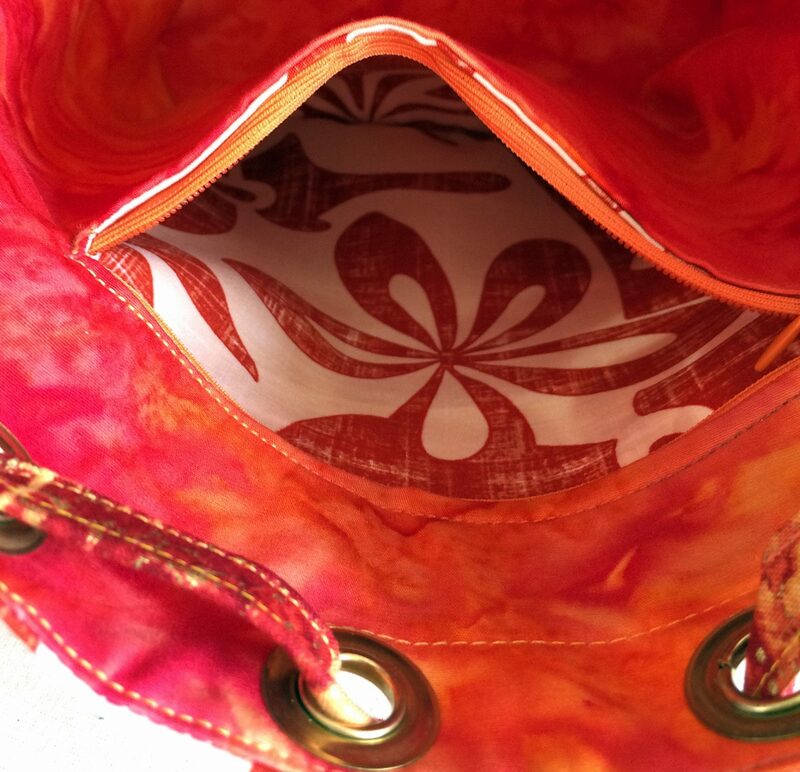 To me this bag represents the lava flow, island sunsets, the abundance of flowers, graceful hula dancers, and the vivacity that is so very much the islands. Despite all that glory, this bag is still totally laid back and 100% wash and wear — just like Hawaii. 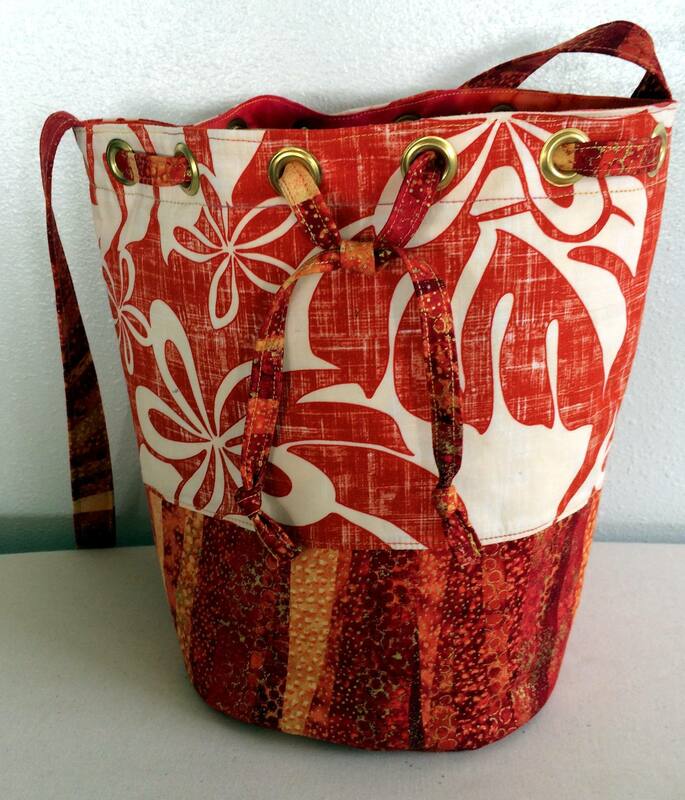 This Lanai Style of Kona Bucket Bag — “Lava Luau” is molten fun. Fully lined, this bag is sturdy enough to be free-standing and measures 24″ in diameter and stands 10″ tall. It has one large inside zippered pocket, a draw-string closure, and sturdy, crossbody carry straps.